I bet you didn’t consider this feature when deciding between an iPhone 4S and an Android device such as the Galaxy S III. 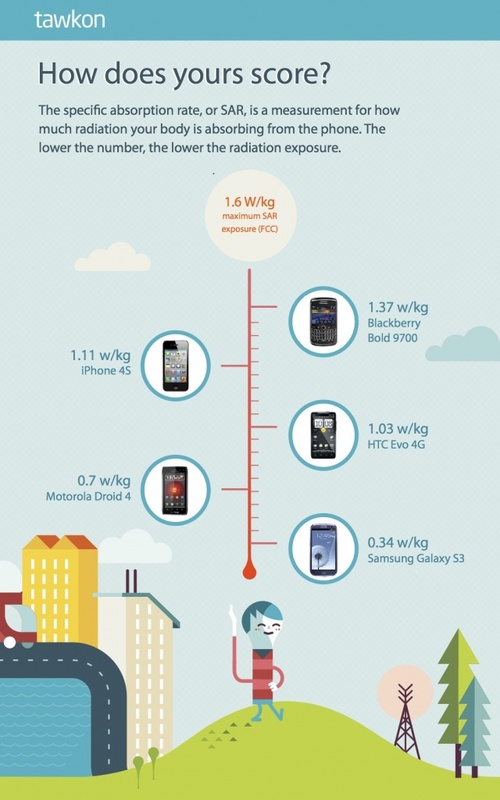 The company behind the radiation measurement app Tawkon has released a semi-disturbing infograph (which can be found at the bottom of this post) detailing the SAR (a measure of the rate at which energy is absorbed by the body when exposed to a radio frequency(RF) electromagnetic field) score of various popular smartphones. Apple’s 4S was the second highest offender with a SAR level of 1.11 w/kg, coming very close to hitting the maximum SAR level allowed by the FCC (1.6 w/kg) and tripling that of the Samsung Galaxy S III. 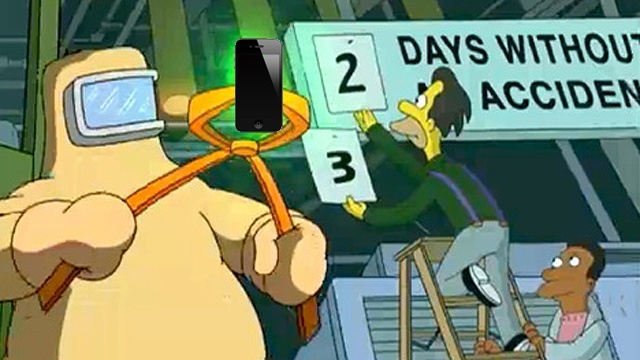 Samsung’s latest flagship device, the Samsung Galaxy S III, came in at the bottom of the totem pole (bottom equaling better) with a SAR score of 0.34 w/kg. The level of radiation as well as the Specific Absorption Rate has long been a controversial topic in regards to smartphones and the effects these levels have on our bodies. There’s tons of conflicting reports out there, and it seems the only thing everyone can agree on is: no one knows exactly what kind of effects the non-ionizing electromagnetic radiation emitted by cellphones have on human tissue. All we can do as consumers and health conscious human beings, is to be cautious of any level of radiation exposure. While the SAR levels and the maximum level set by the FCC are well below the level at which laboratory testing indicates adverse health effects could occur, it’s always better to err on the side of caution and limit your daily smartphone use — no matter which device you use.